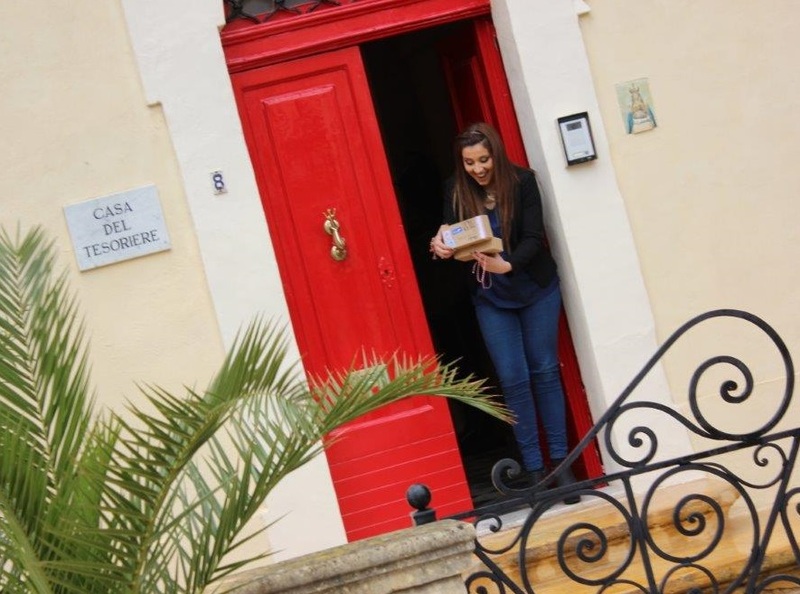 Amber Bondin was born on the 26 May 1991, she currently lives in Kalkara and is a full time student at the University of Malta, currently following a B.Ed in Early Childhood Education & Care, and hopes to become a primary school teacher. Her first exam is on Monday 25 May, two days after the Eurovision final. At the tender age of 5 years Amber was always singing and taking part in various school plays, activities and was also involved in church choirs. Amber grew older and that's when school teachers started to see her potential and encouraged her to take up vocal lessons, but she never seemed to believe as much in herself and continued to focus on the sport she had already been practicing, Judo. Amber had been training Judo for over eleven years, she worked hard and worked her way up to a competition level, obtaining a Green Belt. It was then when a tragic accident happened to her during a competition. This accident turned her life upside down. She decided to stop competing for a while, there was no other alternative, but simply training and not competing did not make her feel happy and fulfilled. She had to invest her energy in something else, something that made her feel the same passion she had towards Judo. This is where she discovered that singing was her true passion. At the age of 16 she took her first vocal lesson with Mr. Brian Cefai. Amber took her next step by appearing in two television competitions "Trid Tarah" and "The Academy". During "The Academy" Amber met Mr. Joshua Alamu the main vocal coach of SLS (Speech Level Singing) and after trying out his method, she felt like she found her place. Hence Amber found her style, the style she is renowned for; Jazz and Blues. At the age of 18 she took part in a talent program called "I.D." where she was the runner up of the first season. Amber considers this experience as a debut to her career. Amber then placed 4th in the "Malta Hit Song Contest" in the year 2010 with the song "Take it easy" and also ended that year on a good note, by winning the "Konkors Kanzunetta Indipendenza" with the Song "Trid Taprezza". 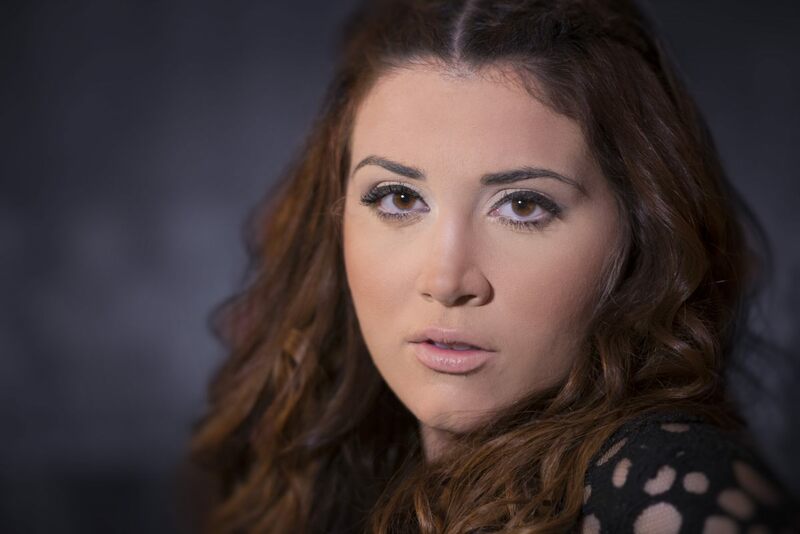 In 2011, Amber submitted her first entry in the "Malta Eurovision Song Contest" and made it in the 24 finalists with 2 songs "Catch 22" (13th place in the final) and "Touch Wood". At this point Amber started to get well-known for her particular style and voice. 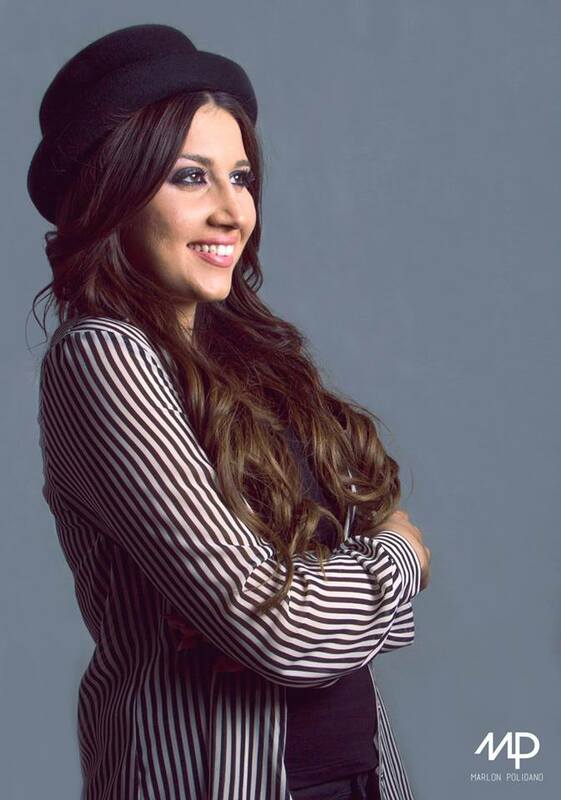 In 2012, Amber was the second runner up in the "Malta Eurovision Song Contest" with "Answer with your eyes" and this was the start to an amazing year for her. 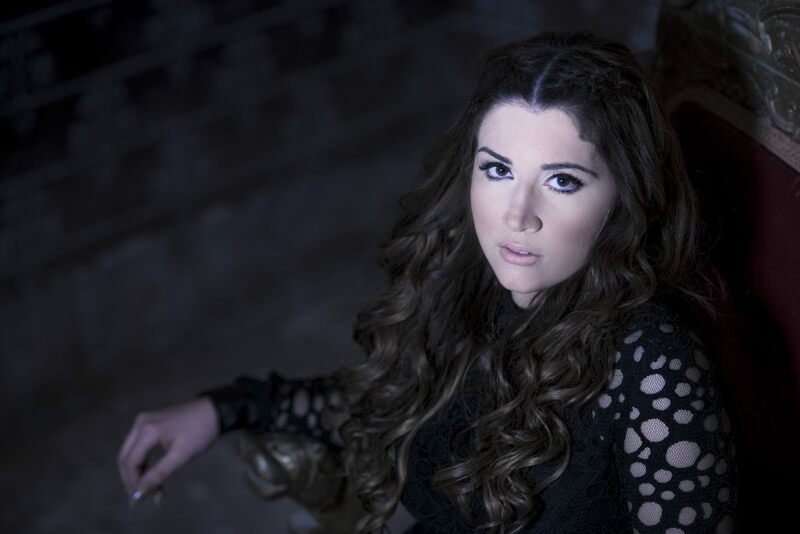 Later on during the year she was asked to accompany Kurt Calleja as a backup singer in the "Eurovision Song Contest" in Baku, representing Malta with the song "This is the night". "It was an extraordinary experience. I got the opportunity to get a closer glimpse of the Eurovision, especially it's background, the weeks preceding the ESC, the actual ESC week, the media, the staging and the direction", says Amber. Later that year she sang a duet with the world-renowned Joseph Calleja at one of his concerts. Amber describes both experiences as being the highlights of her life. Amber has always given voluntary work a priority. In August 2013, she spent 3 weeks in Tanzania which was an opportunity to contribute and to experience something which would have a huge impact in her personal life. She plans to return there this summer. In August 2014, she also spent 1 week in Reggio Calabria where she helped young kids in need. She describes voluntary work as a give and take experience. Her favourite music genres are Jazz and Blues. She looks up to Etta James and Beyonce so much, as far as how they have handled their career and personal life. She is also a huge fan of their music. Interesting fact: just like Georgian "Warrior" Nina, Amber love tattoos and has a tattoo on her upper back: it's the melody from the first 2 stanzas of Maltese national anthem. Amber is a Facebook addict and hopes to get to know the other contestants online before meeting them in person. She's also a chocoholic and is looking forward to trying Austrian chocolates and drinking a hot chocolate in a Vienna coffee house. She believes that the Eurovision Song Contest is a very good platform for all the local artists and it is something to look forward to every year. This was Amber's 5th year participating in the "Malta Eurovision Song Contest". In the past 2 years, she placed 4th with the songs "In Control" and "Because I have you" respectively. In 2014 she also joined the well-known "Animae Gospel Choir". Amber believes that in order to achieve and succeed one must remain grounded and passionate in what he does. Till this very day Amber is still working hard to achieve the very best in various projects, and whatever comes her way. 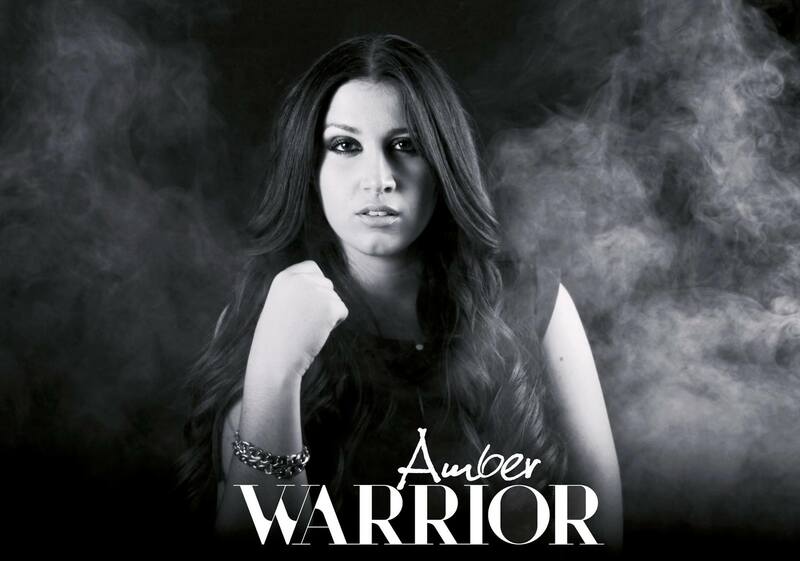 At the Eurovision 2015 Amber will perform song "Warrior" written especially for her and allowing to demonstrate her vocal range, by creative team behind two latest Maltese JESC entries, including Gaia Cauchi's winner "The Start". Digital single for the song was released on March 12, including Eurovision version of the entry as well as karaoke version. "Warrior" has a simple but inspirational message to which anyone can relate. Through our lives each and every one of us has suffered some sort of pain, be it physical or emotional, caused either by heartbreak, illness, etc. It relates to anyone who is facing obstacles which seem to be difficult to overcome. It is meant to build up the courage to overcome these barriers, to give people that extra motivation to conquer their fears and anxieties"
Our next guest is powerful representative of Malta Amber. As usual, we start off with what feelings participation in Eurovision has brought to her? "I feel great. It's an absolute honour to be representing Malta. I can't wait to go to Vienna and start building bridges!" At the Eurovision Amber will be performing song "Warrior", which she describes as "an inspirational song about finding inner strength to overcome the difficulties we face in life". It was written specially for the singer by who she calls "a fantastic duo" – Elton Zarb and Matt Muxu Mercieca - who won Junior Eurovision in 2013 with The Start. Amber has been taking part in the national preselection since 2011. "They decided to let me win so that I would stop coming back year after year! ", she jokes. "Seriously, I think I won this year because I have such a brilliant song. Warrior is very powerful". The song has undergone through some changes after the national final. "We all sat down and said “can we make this even better?” and the consensus was that we could and we should. I think it sounds better than ever but it's for the audience to decide". Amber thinks it would be a great idea to record some other song versions, but is unsure if she will have time for that. Speaking about staging of her entry for the international competition, she says: "It's almost finalised, but the plan is to avoid gimmicks and keep things simple. The song is the star". She can't name those joining her on the stage yet, joking "I was thinking of inviting five friends along to enjoy the experience with me but I don't think the producers would like that". Will her stage performance implement some ideas from the music video? "We did a lot of smashing things up on the video. Could I get away with that in Vienna?". Amber defines her aim for Eurovision simply as "to give the best performance I can". Prior to the contest she will be visiting some European countries with promo. "I believe pre-contest promotion is a good idea but I am a student and I have to keep my studies up at the same time. I have to sit for an exam as soon as I come back and then when it's over I will celebrate my birthday too". She also hopes to use her experience from taking part in Eurovision 2012 in Baku. 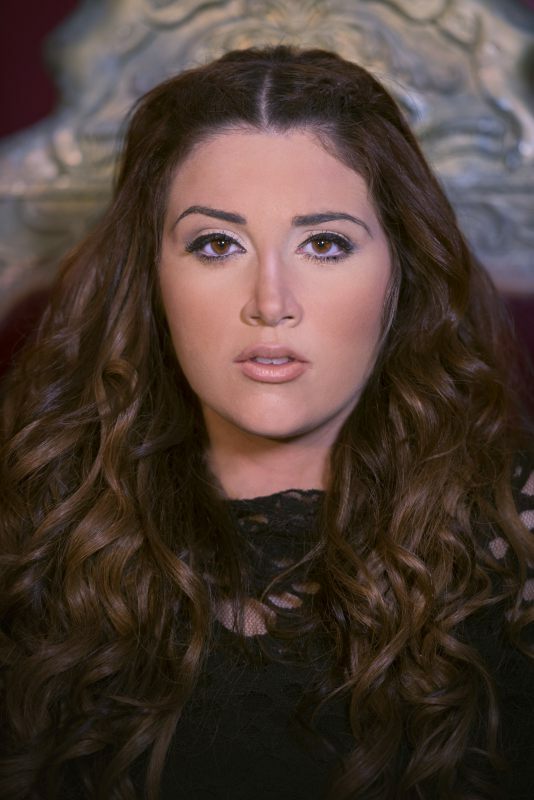 "It was a fantastic experience, being second singer to Kurt Calleja in 2012. I learnt to take it all in my stride, enjoy making new friends and give a confident performance. That's what I shall do again in Vienna". Maltese singer has already listened to the entries of other competitors. "There are so many good songs. I love Spain's and Russia's. The song from Cyprus is quite different and Sweden's is one to watch. I expect I'll soon fall in love with a few more". On 18 April Amber will be doing a big concert in Malta. "It's a chance for me to get the full stage experience before I go to Vienna. And I hope it's the start of a new adventure because I would love to do concerts across Europe", she says. Can we expect an album from her shortly? "One step at a time, but I'd love to get a recording contract after Eurovision". "I send big kisses to all Eurovision fans. You are the best. 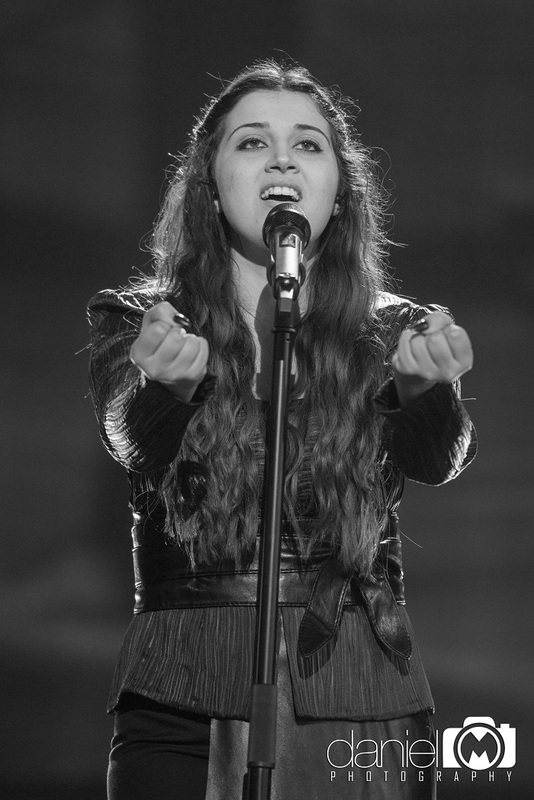 I hope you like Warrior and will vote for Malta in the second semi-final. And don't forget to follow us on facebook.com/EurovisionSongMalta"
You can also read complete text version of the interview on OGAE Rest of the World Facebook page. A special team from ORF, the national TV station of Austria was in Malta yesterday to film the first part of the Maltese postcard to be shown before Amber's performance of the Maltese entry Warrior. 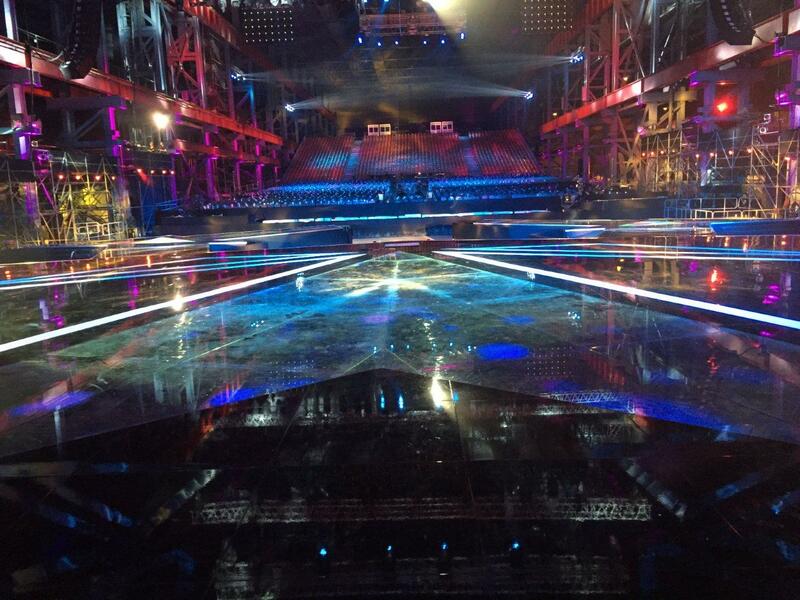 ORF is responsible for the production of the next Eurovision Song Contest in May. The team from ORF is currently travelling around Europe and Australia to prepare 40 different postcards which will introduce each song during the show. Every postcard will be 40 seconds long. The first part of the postcard is filmed on home soil and is 15 seconds long and the second part is filmed in Austria and is 25 seconds long. In every postcard we see the artist/s receiving a parcel by post in their home country. In each parcel there is a surprise which shows the activity that the artist/s will carry out once in Austria to film the second part of the postcard. Amber recorded the first part of the postcard in Mdina, the old capital of Malta. In the first part of the filming, we see Amber's reaction when she opens the package and finds a surprise message. The second part will be filmed this week in Zell Am See, a popular ski resort in Salzburg. Zell Am See sits on a mini-peninsula that juts into a pretty alpine lake. The Public Broadcasting Services is launching an event entitled AMBER IN CONCERT with the participation of Amber, Malta's representative at the Eurovision Song Contest in Vienna next May. The concert will be held on Saturday 18 April at the Republic Hall of the Mediterranean Conference Centre in Valletta at 8.30pm, The PBS 40 piece Orchestra will be conducted by Mro Paul Abela and will perform live several songs from Amber's repertoire. Supporting artists include Joe Cutajar (ESC1972); Franklin (MESC); Kurt Calleja (ESC2012); Gianluca Bezzina (ESC2013); Louisana Bartolo (Backing artist 2012); Gaia (JESC 2013); Ivan Grech (Lead singer Wintermoods); Federica (JESC 2014); Cristabelle (MESC) and the SouthVille dancers. Booking is open from the MCC Booking Office,Valletta, online: mcc.com.mt or by telephone:25595750. 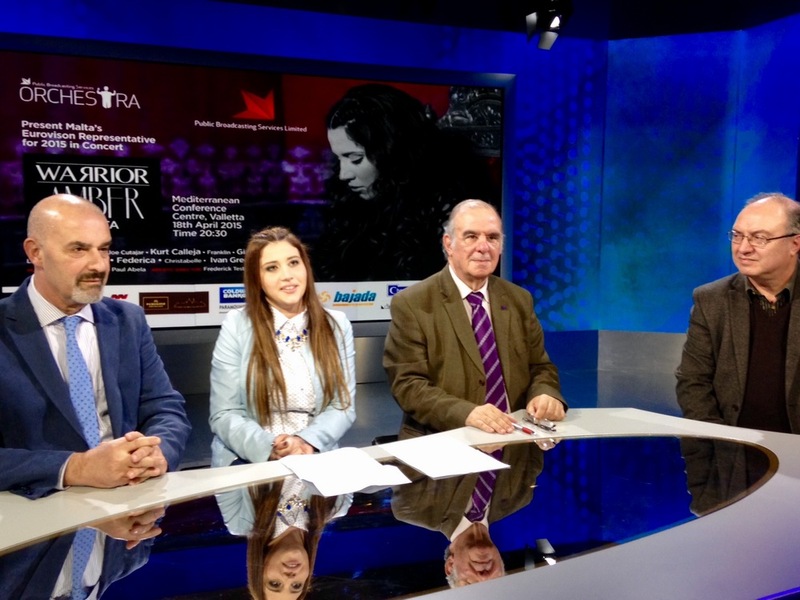 PBS has officially launched the song “Warrior”, together with a video of the song to compliment Malta's participation in the Eurovision Song Contest, being held in Vienna this May. Since “Warrior” triumphed at Malta Eurovision, the team responsible for the song's production have taken it to another level. New version of the song features orchestral arrangement of 57 instruments. The production of the song was in the hands of Elton Zarb, Gordon Bonello and Kevin Abela, whilst the lyrics were written by Matthew (Muxu) Mercieca. The video of “Warrior”, produced by PBS, not only visually complements the song but adds to its powerful nature. Gordon Bonello, Rodney Gauci, Neville Grech, Charles Ahar and Joe Cremona were responsible for the production. Minister Owen Bonnici was present at the launch event, congratulating all those who worked on it for making production of such a high level. The song "Warrior" is about dealing with the challenges we have to face in life and having the strength to overcome obstacles. The video is faithful to the lyrics and interprets the song by turning a negative mood into a positive attitude. It presents Amber living her memories and shows how she comes out triumphant over the challenges she faced in her past. Despite the fact that the video does not have a shooting script, the concept was to create an aspect of mystery, always bringing the past into the present. It was made to visually complement the song whilst adding to its already powerful nature. The visual elements progress in a way that suits the song rather than in a chronological manner, and therefore leaves "Warrior" centre stage. "Working on the music video is definitely an unforgettable experience. The song is the star in the music video. The mystery and darkness represented in the environment are defeated by the will and the strength of the "Warrior" living inside me"
The filming of the video of Warrior, the Maltese song for the Eurovision Song Contest in Vienna, started on Wednesday. The location of the filming is a very old house in Rabat. Although the house is not habitable it contains precious murals which provide a perfect backdrop for the filming. The scene creates a contrast between the musicians, who have their faces covered, and Amber, who emerges as the positive protagonist. Speaking to TVM Malta, singer Amber has explained that the house, which is over 400 years old, is a gem and very peaceful, being a perfect setting for this video while the song remains the star of the show. She adds that Warrior is about dealing with the challenges we have to face in life and having the strength to overcome obstacles. "The moment I sing here I feel a lot of emotions. I hope that my fans can share this feeling when they listen to my song", expressed Amber at the end of the second day of filming. The video recording continues today, and editing will swiftly follow. "Malta Eurovision Song Contest 2015" was the national selection to determine the Maltese entry for the Eurovision Song Contest 2015. 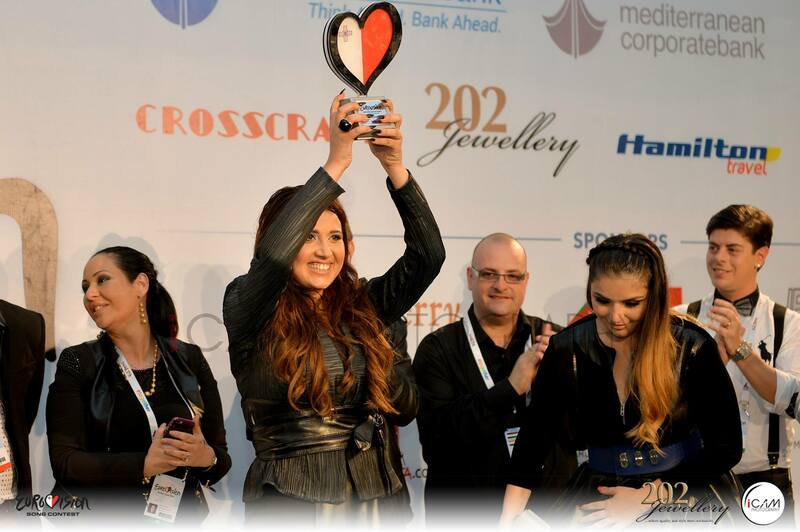 The competition consisted of a semi-final and final held on 21 and 22 November 2014, respectively, at the Malta Shipbuilding in Marsa, former venue of Junior Eurovision Song Contest 2014. Both shows were hosted by Daniel Chircop and Lyona Xuereb Gatt. Entries could have been submitted on 28-29 August 2014 at PBS Creativity Hub in Gwardamanga. Artists were also required to submit a cover version of another song along with their entry application in order to allow the jury to assess the vocal quality of the artist. The artists had to be Maltese nationals or citizen, and collaboration with foreign songwriters was allowed. Artists could only compete with a maximum of two in the semi-final and one in the final. New rules and regulations for the competition allowed, just like in Belarus, the artist, author and composer of the winning entry to change parts of the winning song or the entire song for the Eurovision Song Contest. At the end 134 entries were received by the broadcaster. Joseph – What? When? Where? Kurt Cassar – Where do we go? 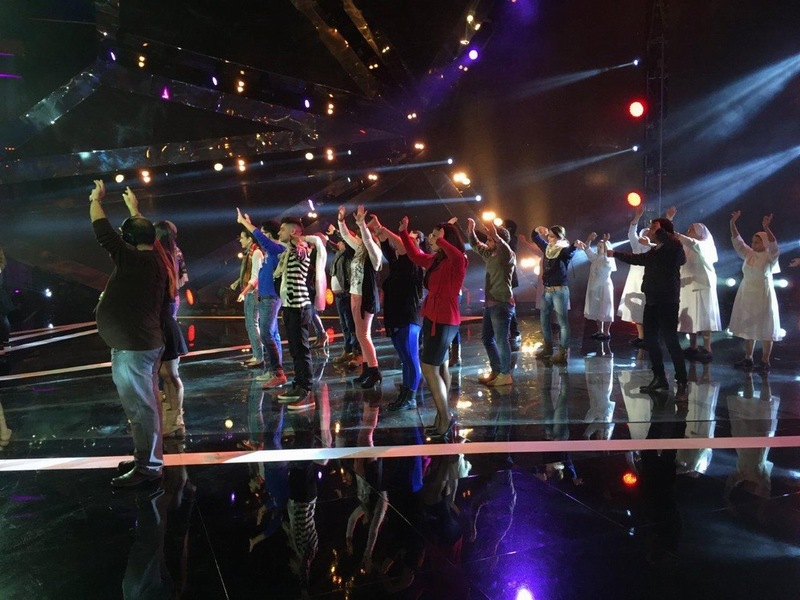 20 songs were selected to compete in the semi-final were announced on the TV program Xarabank on 3 October 2014. 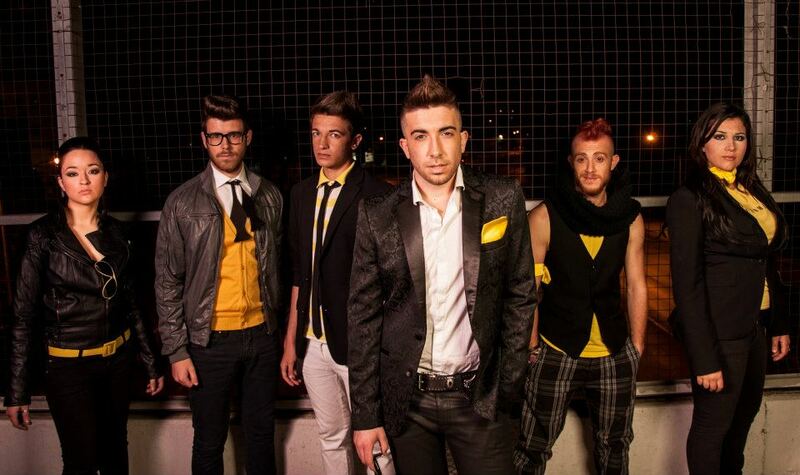 Among the selected competing artists were former Maltese Eurovision entrants Ludwig Galea (performing as part of the group Trilogy) who represented Malta in 2004, Glen Vella, who represented Malta in 2011, and Gianluca Bezzina (performing as part of the group L-Aħwa), who represented Malta in 2013, while Daniel Testa represented Malta in the Junior Eurovision Song Contest 2008. Among the songwriters, Boris Cezek co-wrote the 2013 Maltese entry; Paul Abela composed the 1991, 1996 and 2001 Maltese entries; Gerard James Borg and Philip Vella co-wrote the 2000, 2002, 2004, 2007 and 2008 Maltese entries, while Gerard James Borg also co-wrote the 2014 Russian entry; Alexander Rybak represented Norway and won the Eurovision Song Contest 2009; Jan van Dijk co-composed the 1990 Portuguese entry; Charlie Mason co-wrote the 2012 Italian entry and the winning 2014 Austrian entry. Read more about participants of the show here. In mid-October 2014, the participants filmed promotional videos for their entries which were released on 20 October 2014 in order to present the competing songs to the public. The final took place next day, and again draw was held at a press conference following the semi-final in order to determine which entries would open and close the show. The show featured guest performances by Eurovision Song Contest 2014 winner Conchita Wurst performing "Rise Like a Phoenix" and "Heroes" and 2014 Maltese Eurovision entrants Firelight performing "Coming Home", "Talk Dirty" and "Backdrop of Life". Glen Vella with "Breakaway" won TVM.com.mt Award over Jessika and Amber. Watch the video from the winner's press-conference here. Амбер Бондин родилась 26го мая 1991 года, и в настоящее время живет в городе Калкара и учится в Университете Мальты на педагогическом факультете, отделении дошкольного воспитания и начальной школы. Она хочет стать учителем начальных классов, и 25го мая, сразу после окончания Евровидения 2015, ей предстоит сдать экзамены. Уже в возрасте 5 лет Амбер пела и принимала участие в различных школьных постановках, мероприятиях, а также пела в церковном хоре. С возрастом ее педагоги стали оценивать потенциал девочки и рекомендовали ей заняться вокалом, но она долгое время не верила в свои возможности и продолжала фокусироваться на занятиях спортом, дзюдо. В течение 11 лет Амбер профессионально занимается дзюдо, выйдя на уровень международных соревнований и став обладательницей "зеленого пояса". Однако, тяжелая травма, полученная во время одного из них, практически положила конец ее спортивной карьере и перевернула ее жизнь с ног на голову. Она прекращает выступать, другого выбора у нее не оставалось, хотя и поддерживает форму во время тренировок, однако не чувствует интереса к ним. Амбер решает вложить свою энергию во что-то новое, что бы заинтересовало ее также, как дзюдо. Именно в этот момент она открыла в себе настоящий интерес к пению. В возрасте 16 лет она берет свои первые уроки вокала с педагогом Брайаном Чефаи. Далее она принимает участие в двух небольших телевизионных конкурсах - "Trid Tarah" и "The Academy". Во время участия в "The Academy" Амбер знакомится с Джошуа Аламу, педагогом по вокалу направления SLS (Speech Level Singing), и, попробовав его методику, понимает, что нашла свой путь. С тех пор Амбер планомерно развивает свой музыкальный стиль, который в основном включает два музыкальных направления: джаз и блюз. В 18 лет она принимает участие в шоу талантов "I.D. ", где становится серебрянным призером первого сезона. Именно этот опыт Амбер считает началом своей профессиональной карьеры. В 2010 году она занимает 4е место на фестивале "Malta Hit Song Contest" с песней "Take it easy" и завершает год на еще более высокой ноте, побеждая на "Konkors Kanzunetta Indipendenza" с "Trid Taprezza". В 2011 году певица впервые подает заявку на участие в отборе "Malta Eurovision Song Contest" и попадает в число 24 сразу с двумя композициями "Catch 22" (13е место в финале) и "Touch Wood". С этого момента Амбер начинает считаться узнаваемой на Мальте певицей со своим особенным стилем и голосом. В 2012 году Амбер занимает третье место на отборе "Malta Eurovision Song Contest" с "Answer with your eyes", что стало началом очень успешного для нее года. Позднее, ее приглашают в состав бэк-вокальной группы Курта Каллейя для участия в международном финале Евровидения в Баку, где они представили Мальту с композицией "This is the night". "Это был невероятный опыт. Я получила возможность поближе познакомиться с Евровидением, особенно его закулисьем, узнать о том, как проходят недели перед конкурсом, сама Евронеделя, общение со СМИ, работа на сцене", говорит Амбер. Также в этом года на одном из концертов Амбер исполняет дуэт со всемирно известным оперным исполнителем Джозефом Каллейя. Амбер описывает оба эти события, как одни из самых запоминающихся в ее жизни. Амбер всегда находит время для благотворительности. В августе 2013 года она провела три недели работая волонтером в Танзании, что по ее словам оказало огромное влияние на ее жизнь. Она надеется вернуться туда летом этого года. В августе 2014 года она также провела неделю в Реджо-ди-Калабрия, где помогала нуждающимся детям. Амбер описывает волонтерскую работу как неоценимый обмен опытом. Как уже говорилось, любимыми музыкальными стилями Амбер являются джаз и блюз. Ее кумирами являются Этта Джеймс и Бейонсе, и она черпает из их жизни примеры для своей карьеры и личной жизни. Интересный факт, как и исполнительница грузинского "Warrior" Нина, Амбер тоже любит татуировки, и у нее есть татуировка на спине, изображающая мелодию первых двух строк мальтийского национального гимна. Амбер любит проводить время в Facebook, и хочет познакомиться с другими участниками онлайн еще до встречи в Вене. Также Амбер обожает шоколад и с нетерпением ждет возможности попробовать знаменитый австрийский шоколад и выпить горячее какао в кофе-хаусе в Вене. Амбер считает участие в конкурсе Евровидение очень хорошой платформой для развития местных мальтийских артистов, и потому стремилась к нему каждый год. В этом году, ее участие в национальном отборе стало уже пятым. В предыдущие два года она занимала 4е место с композициями "In Control" и "Because I have you" соответственно. В 2014 году Амбер также присоединилась к известному госпел хору Animae. Амбер считает, что для того, чтобы достичь свои цели, необходимо твердо стоять на земле, и делать все с особой страстью. На конкурсе Евровидение 2015 Амбер исполнит песню "Warrior", которую для нее написала творческая команда, также являвшаяся авторами двух предыдущих песен Мальты на Детском Евровидении, включая и "The Start" Гайи Кауки, победившую на конкурсе в 2013 году - Элтон Зарб и Матт Мушу Мерсиека. Цифровой сингл на конкурсную песню вышел 12го марта, на него вошли окончательная версия песни, а также караоке версия трека. "Warrior" несет в себе простой, но вдохновляющий посыл, с которым связать себя может каждый слушатель. На протяжении нашей жизни каждый из нас страдал от какого-либо вида боли, физической или эмоциональной, вызванной болезнью или разбитым любовью сердцем. Песня обращена ко всем, кто сталкивается с препятствиями, которые сложно преодолеть. Ее цель - помочь набраться храбрости для преодоления этих барьеров, дать людям дополнительную мотивацию для борьбы со своими переживаниями и страхами"
Наша следующая гостья - могучая представительница Мальты Амбер. Как обычно мы начинаем с вопроса о том, какие чувства участие в Евровидении принесло ей? "Я ощущаю себя просто великолепно. Представлять Мальту - это абсолютная честь для меня. Не могу дождаться того момента, когда я отправлюсь в Вену и начну там возводить мосты!" На Евровидении Амбер исполнит песню "Warrior", которую она описывает как "вдохновляющую песню о поиске внутренней силы для преодоления тех трудностей, с которыми мы сталкиваемся в жизни". Она была написана специально для исполнительницы теми, кого она называет "фантастическим дуэтом авторов" – Элтоном Зарбом и Маттом Мушу Мерсиекой - которые также являются авторами песни-победительницы Детского Евровидения 2013 The Start. Амбер принимала участие в национальных мальтийских отборах на Евровидение начиная с 2011 года. "Думаю, что наконец мне разрешили победить, чтобы я перестала возвращаться на них каждый год! ", шутит певица. "Ну, а если серьезно, я думаю, что мы одержали победу в этом году, потому что у нас есть такая потрясающая песня. Warrior - очень мощная!". После национального отбора конкурсная композиция претерпела некоторые изменения. "Мы все сели вместе и задумались, "а можем ли мы сделать ее еще лучше? ", и консенсус был в том, что это можно и нужно сделать. Я думаю, что теперь она звучит еще лучше, чем раньше, но решать зрителям". Амбер считает отличной идеей записать несколько других версий песни, но не уверена в том, что у нее найдется на это время. На вопрос о том, как будет осуществлена сценическая постановка для международного финала конкурса, Амбер объясняет: "Работа над ней практически завершена, но наш план состоит в том, чтобы избежать каких-то хитроумных затей, и сохранить ее простоту. Главная наша звезда - сама песня". Пока она не может представить тех, кто выступит с ней на сцене, потому отшучивается: "Я думала, что может мне стоит пригласить с собой пять лучших друзей, чтобы они разделили этот праздник вместе со мной, но не думаю, что нашим продюсерам это понравится". Будет ли сценическое выступление использовать какие-то идеи из видеоклипа на песню? "О, мы в клипе разбили столько много всего... Может нам разрешат так же повеселиться и в Вене?". Амбер описывает свою цель на Евровидении просто как "показать самое лучшее выступление, на которое я способна". Перед конкурсом она посетит с промоушеном несколько Европейских стран. "Я думаю, что предконкурсная раскрутка весьма полезна, но я ведь студентка, и мне приходится обращать внимание и на занятия. Сразу же после возвращения из Вены меня ждут серьезные экзамены, а когда они закончатся, придет время праздновать мой день рождения". Она надеется применить какой-то опыт из своего участия в Евровидении 2012 в Баку. "Это был просто фантастический опыт, когда я пела с Куртом Каллея в 2012. Я научилась преодолевать препятствия, получила удовольствие от знакомства с новыми друзьями, и уверенно выступила на большой сцене. Все это я повторю снова в Вене". Мальтийская певица уже прослушала все принимающие участие в конкурсе песни других участников. "Очень много хороших песен. Мне больше всего нравятся песни Испании и России. Песня Кипра хорошо выделяется, а Швеция отлично смотрится на экране. Я думаю, что со временем у меня станет еще больше фаворитов". 18го апреля у певицы предстоит большой концерт на Мальте. "Это еще один шанс для меня получить полный сценический опыт до того, как я отправлюсь в Вену. Я надеюсь, что это будет стартом новых приключений, потому что я очень бы хотела давать концерты в различных городах Европы", говорит она. Можем ли мы ожидать в скором времени выхода альбома? "Всему свое время, для начала я была бы очень рада получить предложения от лейблов после Евровидения". "Целую всех фанатов Евровидения. Вы - самые лучшие! Я надеюсь, что вам понравится моя песня Warrior и вы проголосуете за Мальту во втором полуфинале конкурса. И не забывайте следить за нашими новостями на facebook.com/EurovisionSongMalta"
C полной текстовой версией интервью (на английском языке) вы также можете познакомиться на странице ОГАЕ Остальной мир в Facebook. Специальная команда телеканала ORF Австрии прибыла вчера на Мальту для съемки первой части мальтийской открытки, которая будет предварять выступление Амбер с песней Warrior на конкурсе Евровидение. Съемочные группы ORF в настоящее время путешествуют по Европе для того, чтобы подготовить 40 различных посткардов, каждый из которых будет представлять во время шоу ту или иную страну. Длина каждой открытки - 40 секунд. Первая их часть снимается в участвующих странах, и длится 15 секунд - вторая в Австрии и длится 25 секунд. В каждой открытке можно видеть как участвующий артист(-ы) получает по почте бандероль. Она содержит в себе сюрприз, который является ключом к тому, чем артисту предстоит заняться в Австрии на съемках втлрой части открытки. Съемки первой части посткарда Амбер прошли в Мдине, древней столицы Мальты. В первой части открытки мы видим реакцию Амбер на то, что она видит, когда раскрывает бандероль и получает сюрприз. Съемки второй части визитки пройдут в Целль-ам-Зе, популярном лыжном курорте в Зальцбурге. Целль-ам-Зе находится на небольшом полуострове на красивом альпийском озере. Общественное Телевидение Мальты представляет концерт AMBER IN CONCERT при участии представительницы Мальты на Евровидении 2015 Амбер. Концерт пройдет в субботу, 18 апреля, в Республиканском Зале Средиземноморского Конференц - Центра в Валлетте, в 20.30. В концерте примет участие оркестр мальтийского телевидения под управлением Пола Абелы, который исполнит несколько песен из репертуара Амбер. Поддержать Амбер придут Джо Кутаяр (Евровидение 1972), Франклин, Курт Каллейя (2012), Джанлука Беццина (2013), Луизана Бартоло (бэк-вокал 2012), Гайя Кауки (Детское Евровидение 2013), Иван Грек (солист Wintermoods), Федерика Фальцон (Детское Евровидение 2014), Кристабель и танцоры SouthVille. Приобрести билеты на концерт можно в кассах MCC в Валлетте, онлайн на mcc.com.mt или по телефону: 25595750. Телеканал PBS официально представил новую версию песни "Warrior" вместе с видеоклипом на нее. С момента ее победы на мальтийском национальном отборе, продакшн трека был выведен на совершенно иной уровень. В записи оркестровой аранжировки новой версии композиции приняли участие 57 инструменталистов. За подготовку трека отвечали Элтон Зарб, Гордон Бонелло и Кевин Абела, текст на нее написал Мат (Мушу) Мерсьека. Видеоклип был снят Общественным телевидением Мальты, за работу над ним отвечали Гордон Бонелло, Родни Гаучи, Невилль Грек, Чарльз Ахар и Джо Кремона. На презентации клипа присутствовал министр Оуэн Бонничи, который поздравил всех работавших над клипом за создание продукта такого высокого качества. Песня "Warrior" рассказывает о тех вызовах, с которыми мы сталкиваемся в жизни, и силе, требуемой для преодоления всех препятствий. Видеоклип соответствует тексту песни и интерпретирует ее переводя негативное настроение в позитивное. Оно представляет о том, как Амбер вспоминает о своем прошлом, и в итоге выходит победительницей над всеми вызовами, с которыми ей пришлось столкнуться. Несмотря на то, что у клипа не было как такового сценария, его идея заключается в создании аспекта таинственности, всегда возвращающего прошлое в настоящее. Он был снят с целью визуально усилить уже мощную природу песню. Визуальные элементы в клипе разиваются по тому направлению, которое лучше подходит песне, а не в хронологическом порядке, таким образом выдвигая "Warrior" на центр сцены. "Работа над видеоклипа была действительно незабываемым опытом. Песня - главная звезда этого видео. Тайна и темнота представленные в окружающей среде, в итоге побеждены силой желания и того "Warrior", что живет внутри меня"
В среду начались съемки видеоклипа на песню "Warrior", представляющую на конкурсе Евровидение 2015 Мальту. Местом для съемок было выбрано старое здание, расположенное в городе Рабат. Несмотря на то, что в настоящее время этот дом является необитаемым, в нем есть несколько ценных фресок, которые стали прекрасным фоном для съемок видеоклипа. Картина на съемочной площадке создает контраст между музыкантами, чьи лица закрыты от зрителей, и певицей Амбер, которая выступает в клипе в качестве положительной героини. В интервью телевидению Мальты, Амбер объяснила, что данное здание, которому уже свыше 400 лет, является жемчужиной в истории Мальты, и прекраснейшим местом для съемок видеоклипа, гарантирующим, что главной звездой шоу останется сама песня. Амбер рассказывает о том, что "Warrior" посвящена вызовам, с которыми каждому время от времени приходится сталкиваться в жизни, и необходимости найти в себе силы, чтобы преодолеть все препятствия. "Когда я пою здесь, я испытываю множество эмоций. Я надеюсь, что и мои поклонники смогут ощутить те же самые чувства при прослушивании моей песни", говорит Амбер по окончанию второго съемочного дня. Запись клипа продолжится сегодня, а после этого начнется процесс обработки отснятого материала. Конкурс "Malta Eurovision Song Contest 2015" вновь являлся национальным отбором Мальты на конкурс Евровидение. Он состоял из полуфинала и финала, прошедших 21 и 22 ноября 2014 года соответственно, в помещении судостроительной верфи Malta Shipbuilding в Марсе, зале, где за неделю до этого состоялся конкурс Детское Евровидение 2014. Ведущими обоих шоу стали Даниель Киркоп и Лиона Суереб Гатт. Прием заявок осуществлялся 28-29 августа в Творческом хабе PBS в Гвардамаге. Помимо собственно участвующей композиции, артисты также должны были приложить запись кавер-версии любой другой песни, чтобы жюри смогло лучше оценить их вокальные возможности. Кандидаты должны были быть либо гражданами Мальты, либо ее постоянными резидентами, но им разрешалось сотрудничество с зарубежными авторами песен. Артистам позволялось участвовать в стадии полуфинала максимум с двумя песнями, а в финале - только с одной. В качестве нового правила, было заявлено, что, как и в Беларуси, команда победителя в итоге перед Евровидением может изменить частично свою победившую композицию, и даже подобрать совершенно новый трек. В итоге, национальной телекомпанией были получены 134 заявки на участие. 20 песен, окончательно отборанных для участия в полуфинале, были объявлены на программе Xarabank 3го октября 2014 года. В число выбранных артистов вошли бывшие представители Мальты на Евровидении - Людвиг Галеа (Евровидение 2004) в составе группы Trilogy, Глен Велла (Евровидение 2011) и Джанлука Беццина (Евровидение 2013) в составе семейного коллектива L-Aħwa), а также представитель Мальты на Детском Евровидении 2008 Даниель Теста. Среди авторов, Джерард Джеймс Борг и Филипп Велла являлись соавторами песен Мальты 2000, 2002, 2004, 2007 и 2008, Борг также был соавтором песни России на Евровидении 2014, Александр Рыбак представлял Норвегию и стал победителем Евровидения 2009, Ян ван Дийк являлся соавтором песни Португалии на Евровидении 1990, Чарли Мейсон был соавтором песни Италии 2012 и победившей песни Австрии 2014. Подробнее с участниками шоу можно познакомиться здесь (на английском языке). В середине октября 2014 года, участники сняли превью-клипы на свои песни, которые 20го октября 2014 были выпущены на Youtube, чтобы представить участвующие песни публике. Финал национального отбора прошел на следующий день. Вновь на пресс-конференции после полуфинала была проведена жеребьевка и было определено, какие песни откроют и закроют шоу. В финале в качестве гостей выступила победительница Евровидения 2014 Кончита Вурст с песнями "Rise Like a Phoenix" и "Heroes" и представители Мальты на Евровидении 2014 группа Firelight с песнями "Coming Home", "Talk Dirty" и "Backdrop of Life". Глен Велла с композицией "Breakaway" стал обладателем специальной премии интернет голосования на сайте TVM.com.mt, победив Джессику и Амбер. Видео с пресс-конференции победительницы можно увидеть здесь. The noise is louder than it's ever been. We're just tired of suffering. Мы боялись выйти на свет. Чтобы пройти через это все. Шум громче, чем когда бы то ни было. И мы наконец прошли через это.